Nothing beats the healing power of home. 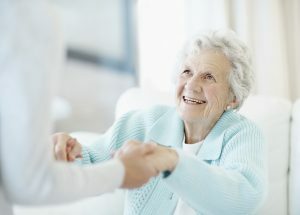 As more and more seniors choose to retain their independence and remain in the comfort and privacy of their own home, quality in-home senior care is becoming increasingly important. That’s where we can help. Whether it’s assisting around the house, prepping a home-cooked meal or a providing some companionship, we are here for you! Caring for a loved one is a huge commitment and can be physically and emotionally draining for families. Hiring a caregiver for respite care can be a difficult choice for some, as they often feel that the responsibilities should be kept within the family circle. However, allowing an experienced caregiver to temporarily step in can give family members the time needed to re-charge and refresh, and can help reduce the potential for caregiver burnout. Our professional caregivers blend in as a friend while providing non-medical companion and personal care support to individuals with disabilities, that enable a broader range of activities, mobility, and independence. Your caregiver can fill a variety of roles while providing the non-medical personal care, meal preparation and housekeeping support that enable a broader range of activities, mobility, and independence. Welcoming a new baby into your life is one of the most rewarding and challenging stages of life there is. With the main focus on the baby, many parents find that they need a little extra help around the house. If you’re an expectant mother who has been placed on bed rest, we understand your special needs and can develop a personal care plan to ensure a smooth and peaceful pregnancy and transition into parenthood. If you have recently welcomed your baby, let our skilled caregivers take the stress of daily activities off your shoulders so you can spend quality time with the newest member of your family. Recovering from an illness, injury or surgery should be your top priority, but with the hectic lifestyles we lead today, downtime is rarely an option. With Premier Homecare Services superior in-home care, patients can recover safely and comfortably at home, knowing that their needs will be taken care of by their personal caregiver. Whether you are looking for someone to run errands, provide housekeeping, or prep meals, your caregiver will be like a close friend while you recover.